Like many others in Moore, Oklahoma, a man by the name of Derek Thayer was recently traumatized by the tornado that ripped through his neck of the woods. But while he might have been affected by the brutal winds, his truck’s ability to start up was not — even after being thrown across the street, and rolled around like a ball of metal. Naturally, a Chevrolet bowtie was found on the truck — and even though it wasn’t drivable, seeing the truck start up apparently put a smile on Derek’s face. If you’re on the same page as us, you’d like to see General Motors send this guy a 2014 Silverado (and one to us as well, just because). Who knows, GM has been doing a hefty amount of philanthropy lately, and giving this guy a new pickup could be the icing on the cake. Previous story Happy 110th Birthday, Buick! Most tornado cars will start they general are just dented up and have lost their windows. That is unless they were picked up and dropped several hundred feet like some are. 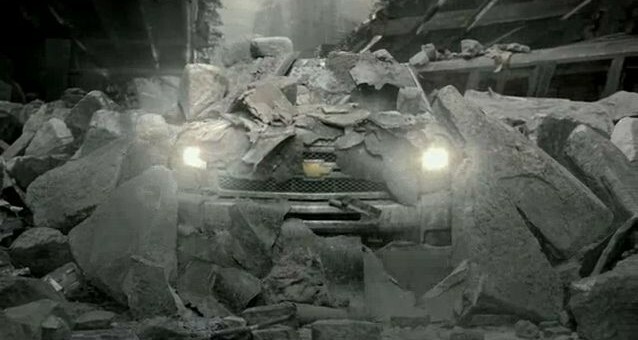 Would be a good way to into the new truck and help a lot of people if GM gave 13 or 14 trucks to present Chevy owners.